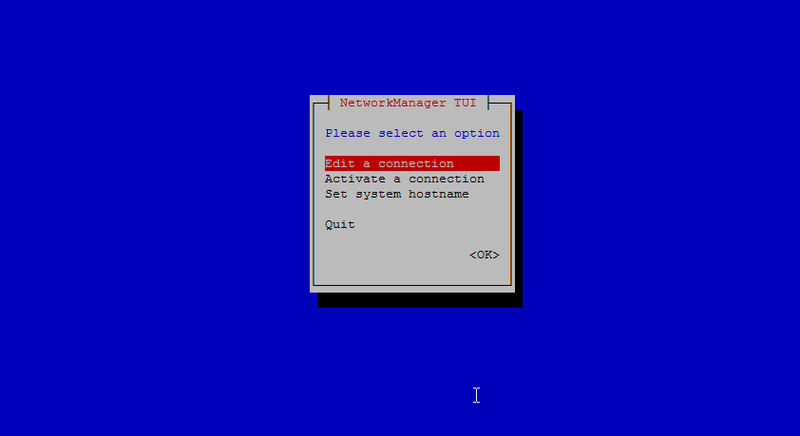 This tutorial shows the installation of ISPConfig 3.1 on a CentOS 7.2 (64Bit) server. ISPConfig is a web hosting control panel that allows you to configure the following services through a web browser: Apache web server, Postfix mail server, MySQL, BIND nameserver, PureFTPd, SpamAssassin, ClamAV, Mailman, and many more. 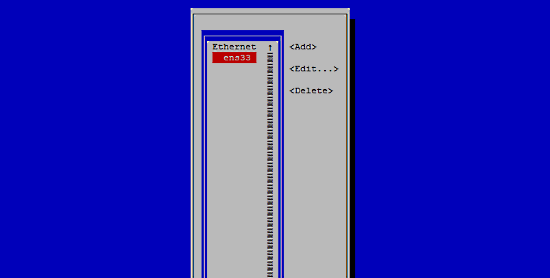 A Centos 7.2 minimal server system. This can be a server installed from scratch as described in our Centos 7.2 minimal server tutorial or a virtual-server or root-server from a hosting company that has a minimal Centos 7.1 setup installed. In this tutorial, I use the hostname server1.example.com with the IP address 192.168.1.100 and the gateway 192.168.1.1. These settings might differ for you, so you have to replace them where appropriate. I want to install ISPConfig at the end of this tutorial, ISPConfig ships with the Bastille firewall script that I like to use as firewall, therefor I disable the default CentOS firewall now. Of course, you are free to leave the CentOS firewall on and configure it to your needs (but then you shouldn't use any other firewall later on as it will most probably interfere with the CentOS firewall). to stop and disable the CentOS firewall. It is ok wnen you get errors here, this just indicates that the firewall was not installed. To ensure that the server can not be attacked trough the HTTPOXY vulnerability, we will disable the HTTP_PROXY header in apache globally. It would be cool to have this with the Horde 5 webmail front end. Item 12 refers to "ISPConfig 3 allows you to use mod_php, mod_fcgi/PHP5, cgi/PHP5, and suPHP on a per website basis". Whereas the tutorial for 7.1 includes instruction to build suPHP the 7.2 tutorial doesn't. Is it still necessary to build it? SuPHP should not be used anymore, that's why it was removed from this tutorial. Nevertheless, ISPConfig supports it for downwards compatibility. I am getting an error when I do a security check "Deprecated SSL Protocol Usage"..
how do I to SSL 2.0 and SSL 3.0, and use TLS 1.0 or newer? In the second step you have us run the command "cat /dev/null > /etc/named.conf" for me this completely wipes my named.conf file. Am I getting the syntax wrong or did I miss a vital step where this data was written to /dev/null? Also, thanks for such a great tutorial! How to fix following error? I can't sent mail to other mail server. Aug 19 22:59:01 whm.server.com systemd: Failed to start Amavisd-new is an interface between MTA and content checkers..
Aug 19 22:59:01 whm.server.com systemd: Unit amavisd.service entered failed state. Aug 19 22:59:01 whm.server.com systemd: amavisd.service failed. Aug 19 22:59:01 whm.server.com systemd: amavisd.service holdoff time over, scheduling restart. 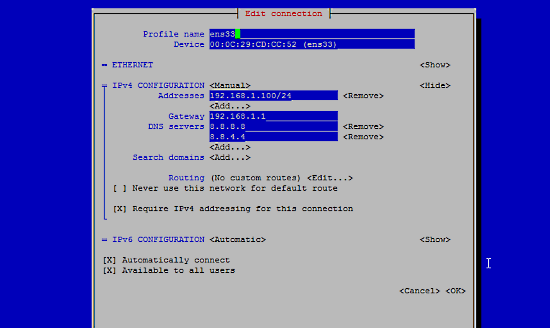 you need to configure the server's hostname. It needs to respond to the fqdn. Also check in /etc/amavisd/amavisd.conf, if the variable $ mydomain is the FQDN. Thanks for the (always) great tutorial! Just wanted to note that I had to write ",usrquota,grpquota" in /etc/fstab for the /var partition. 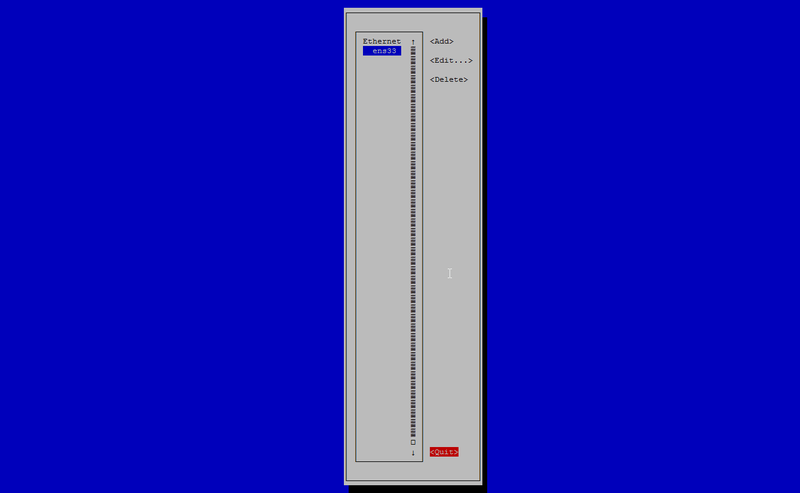 I used standard partitioning, not LVM. If I don't want mail and DNS, can I just skip the install of Postfix, Dovecot and BIND? Or will I run into trouble while installing ISPConfig? Thank you for a great walk thru / tutorial on CentOS server setup, I have my website running now and it works perfectly. The downside is that Roundcube will not connect to the server no matter what I try. I believe that I am missing something (setup wise) in the roundcube section, as when reached the "installer page" on the browser it did not match your guide at all. Everytime I start roundcube it errors out immediately "cannot find /config.inc.php" and tells me to read installation instructions... Strange as I have verified the file exists and is as it should be in /etc/roundcubemail/config.inc.php on my servier. I installed that configuration server with ovh domain name and i receive :"Rejected request from RFC1918 IP to public server address". does someone can help me to resolve that problem. 1. postgrey not available unless "yum install postgrey"
The second part regarding mailman not detected by ISPconfig although it is enabled and running.. now I've reverted back to the snapshot taken right before ispconfig installation.. so until I install ISPconfig again, where should I look to ensure ispconfig will detect mailman? ISPConfig uses the which command to find mailman. Seems as if CentOS installs mailman outside of the path so that the which command can not find it. Find out where mailman is installed and add its path to the PATH variable or alternativly place a symlink to mailman in a place that is in the path like /usr/bin. "which" indeed didn't ring any bell. Searching for a file named mailman produced the below. Probably the first is worth creating a link to.. I'll give it a try. What about [INFO] service Metronome XMPP Server not detected? Can't see any info on it in the tutorial. Could someone point me in the right direction to correct this? I've same issue. Do you resolve the issue? I've destroy server after add rootflags=uquota,gquota to grub and rebooted. Same issue here. As soon as I reboot after modifying grun the server goes into emergency mode. Assuming the grub changes didn't work. It is a dedicated server for my websites, ok to skip this entire section? Works fine here on a dedicated server. But you can skip that of you don't want to limit web site sizes. Hi, I had the same issue. Its maybe a little late to fix your issue, but hopefully this helps others. I'm with Digital Ocean so I had them switch me out of "Emergency Mode" and into "Recovery Mode". From there I mounted my file system so I could have access to my files. I opened up the grub file "/etc/default/grub" and removed "rootflags=uquota,gquota" from one of the lines. After rebooting still the same error. I then went back into "Recovery Mode" and located the file "/boot/grub2/grub.cfg" and copied it to "/boot/grub2/grub.cfg_bak2" to create a backup for safe keeping. I then replaced "/boot/grub2/grub.cfg" with the backup file "/boot/grub2/grub.cfg_bak". After that everything worked again, YAY!!! It took a lot of faithless research to accomplish this. It saved me from having to redo my server, with my 30 hour long setup. Every other article I came across recommended starting from scratch, which was not an option. Good luck to anyone that has this problem. Please make a post in the forum so we can help you to find out what is blocking port 8080 in your setup. Help. Amavisd service status=255 when trying to start. Are there not changes required to be made of the configuration file in order for this to start? Hi, thanks for the guide, this is really useful. I'm trying to figure out why you choosed to place certbot in /opt/ while jailkit goes under /usr/local/src. Freshclam also needs an edit to /etc/sysconfig/freshclam which disables Freshclam by default. and I got 500 error in the website. Any suggestion? There was an error in the tutorial. "uquota" should be "usrquota" and "gquota" should be "grpquota". The part of letscert doesn't work for me. Yesterday I had my websites installed with a certificate and my browser accepted the certificate and the site as save. It had a green url. Today all the site are marked as unsafe again. Also one site is not reacheble anymore, the url is redirected to another site on the server. Any idea what might be wrong? If your sites were working before then the letsencrypt part of this tutorial must have worked for you, otherwise, your sites would not had "green" ssl. Post your problem in the forum if you need help to find out what has been changed in your setup so that lets encrypt stopped working. Any help on this 2 errors (bad link, and bad lists)? â amavisd.service - Amavisd-new is an interface between MTA and content checkers. Jan 04 22:27:58 cp.weboteka.net systemd: Failed to start Amavisd-new is an interface between MTA and content checkers..
Jan 04 22:27:58 cp.weboteka.net systemd: Unit amavisd.service entered failed state. Jan 04 22:27:58 cp.weboteka.net systemd: amavisd.service failed. Jan 04 22:27:59 cp.weboteka.net systemd: amavisd.service holdoff time over, scheduling restart. Jan 04 22:27:59 cp.weboteka.net systemd: Failed to start Amavisd-new is an interface between MTA and content checkers..
Jan 04 22:27:59 cp.weboteka.net systemd: Unit amavisd.service entered failed state. Jan 04 22:27:59 cp.weboteka.net systemd: amavisd.service failed. Hello, i don´t know, but at the finished of configuration everything seems ok, but i can not connect email server, i create a domain a an email account but through email client the SMTP and IMAP does not response. I did have the same problem with amavis, I made /etc/amavisd/amavisd.conf 755 -> chmod 755 /etc/amavisd/amavisd.conf this worked for me. amavisd needed to be enabled as per above. I have followed this guide and everything went fine. However when I load https://myip:8080, I was getting the Apache test page. I commented out the /etc/httpd/conf.d/welcome.conf lines and restarted Apache. Now I get a directory listing instead of any page. If I try to go to https://myip:8080/ispconfig then I get a 404 error. Ideas? The Perfect Server CentOS 7.2 with Apache, Postfix, Dovecot, Pure-FTPD, BIND and ISPConfig 3.1 as ready to use virtual machine download in ovf / ova format, compatible with VMWare and Virtualbox.